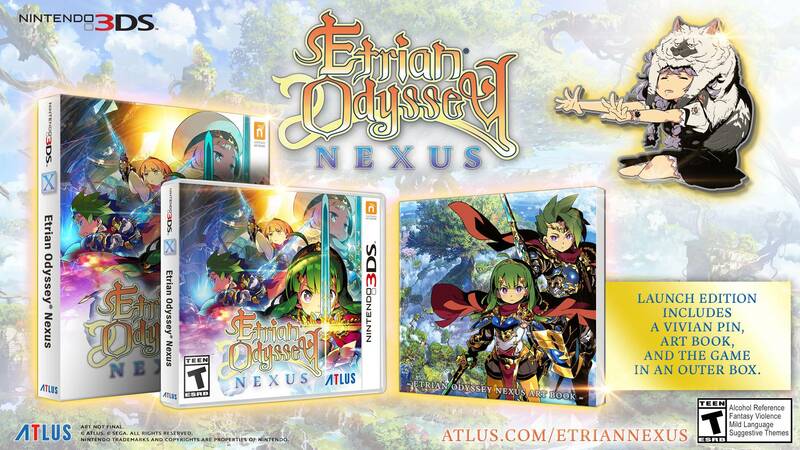 Atlus has released the first English trailer for Etrian Odyssey Nexus for Nintendo 3DS. Atlus also announced that all pre-orders and first-run copies of the game will come with an exclusive art book featuring the incredibly-detailed character art of Yuji Himukai and monster art of Shin Nagasawa, a pin featuring Vivian, the adorable innkeeper in Nexus, and the game itself – all in a special collector’s box. Pre-orders for the Launch Edition are now available at atlus.com/etriannexus. Etrian Odyssey Nexus will be released for Nintendo 3DS in North America and Europe on February 5, 2019. 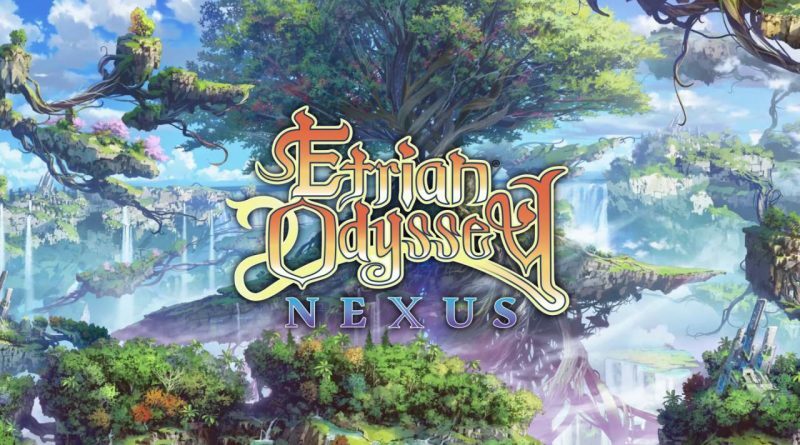 The longtime trio of Yuji Himukai (Character Designer), Shin Nagasawa (Monster Designer), and Yuzo Koshiro (Composer) return to bring life to Etrian Odyssey Nexus’s world. With iconic representatives and locations from past Etrian games, over a hundred story-rich quests, variable difficulty settings, the return of accessibility features like auto-mapping (optional! ), and much more, Etrian Odyssey Nexus is the definitive Etrian experience for both longtime fans and series newcomers. Gather your party, stock up on FOE repellant, and start brushing up on your mapping skills for the launch of Etrian Odyssey Nexus on February 5, 2019. Create and customize characters from 19 playable classes, then take on the dangerous creatures of Lemuria’s labyrinths with your perfect party! Both Newcomers and Veterans Welcome! With the ability to swap between four distinct difficulty settings, auto-mapping settings, and a grand standalone story, there’s something for everyone from series newcomers to experienced veterans. Longtime series mainstays Yuji Himukai (Character Designer), Shin Nagasawa (Monster Designer), and Yuzo Koshiro (Composer) have come together to create the preeminent Etrian experience for the series’ final installment on the Nintendo 3DS.